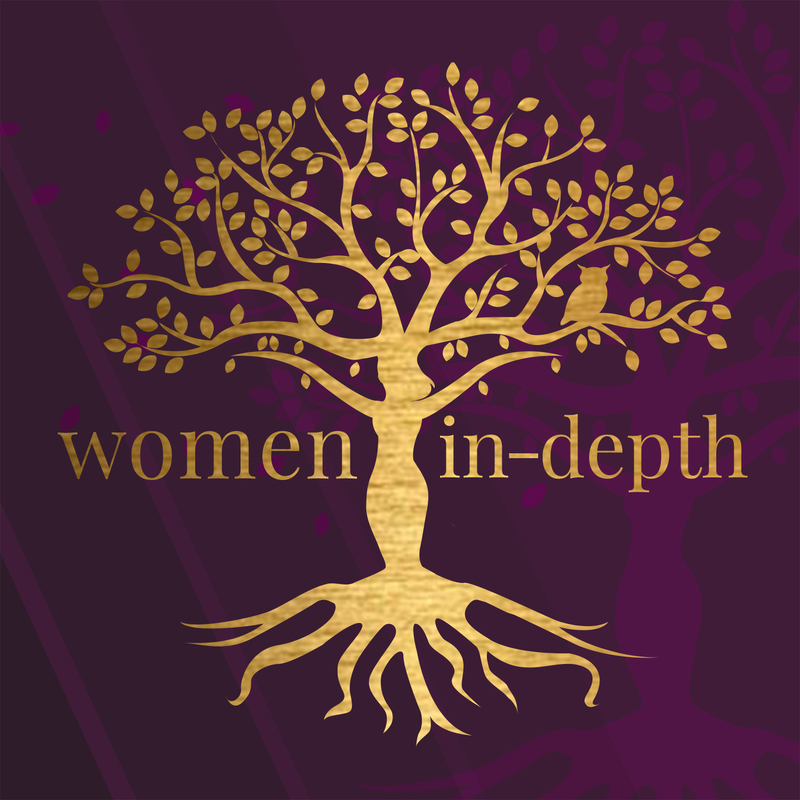 I was honoured to be invited on to the Women in Depth podcast, to speak with host Dr Lourdes Viado about connecting to our creativity. When the interview is broadcast, I’ll share a link to it here. During the interview, I share a guided visualisation about connecting to your creativity. Below, you can find the text of the visualisation, in case you would like to use it with a friend, or perhaps audio-record it for yourself to use later. When you are reading the guided visualisation out loud, make sure to leave lots of long gaps, to allow time for your imagination to play and drift, and to settle into a deeper level of awareness. It’s also good to speak slowly, gently and calmly. Our nervous systems are very sensitive to prosody – voice tone, pitch, and pacing – and speaking in this way helps us engage the ventral vagal system, which is important if we want to feel settled, connected and peacefully alert. Find 10-15 minutes when you can be alone and undisturbed, and sit comfortably, eyes closed. Let yourself imagine that you are in a peaceful place, perhaps beside water or on a mountain – somewhere that feels relaxing and calm to you. Let your breathing slow down and notice the gentle rise and fall of your belly as you breathe. Keeping your eyes closed, imagine there are some art materials beside you. What are they? Pieces of sun-bleached driftwood, and tools for carving or building? Knitting needles and soft, sumptuous wool? Luscious, glowing paints and brushes? Coal-black charcoal and a giant roll of thick, strong paper? See what floats into your mind, and then build up the image as fully as you can, in your imagination. How do the materials look? Imagine touching and holding them. You may even be able to imagine how they smell, and the sounds made when you touch them. 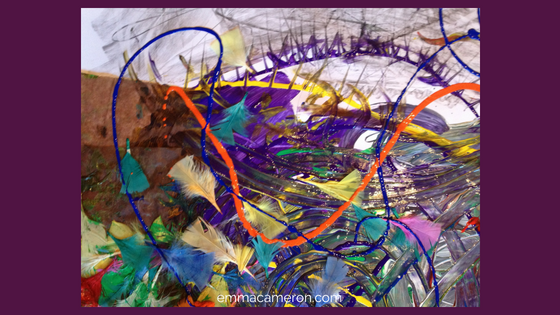 Just for now, imagine yourself feeling free of any anxiety about what to create. You notice that you are trusting that something will emerge. You feel relaxed, knowing that whatever comes will be just enough for this moment. Imagine yourself easily picking up your art materials and intuitively knowing what to do. You might be able to imagine a whole creative process, from start to finish, and be able to see (whether vaguely or clearly) your finished creation. Or you may only get a sense of the early stages, and not have any idea how this process might end. Either way is fine. What’s important is that you have glimpsed the start of a trail that’s worth following. When you are ready, start to become aware of the room around you. Wiggle your hands and feet, open your eyes, and take a long slow energising breath in. You’re ready to move on. You might want to make a written or drawn note of what came to you. And if it was just very vague and fuzzy, that’s okay. Something is starting, and you might notice yourself, over the next few days, getting more glimmers and glimpses of what’s next on your path to expanded creativity! Having listened to the interview on the Women in Depth podcast, are you keen to deepen into your creativity? I work as a creativity coach with women around the world online via video (Skype or Zoom). In coaching, sometimes a single session, or perhaps up to six sessions, can support you as you explore what creativity means to you, and how you can expand and grow in your sense of yourself as a creative person. Coaching costs £70 (approx $92) for a 90-minute session. Online therapy is also available, although I regret that for legal reasons I cannot provide online therapy for anyone living in the USA, Canada, or Germany. I also offer Integrative Arts Psychotherapy in Colchester, Essex, UK. 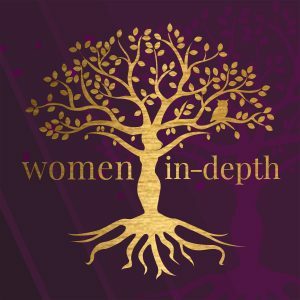 Click here for the Women in Depth podcast.